Inhibition of the PI3K and MEK-ERK pathway enhances cell death in HCT116 cells. 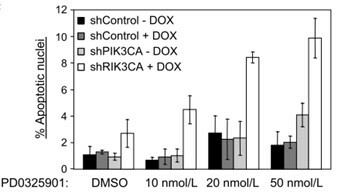 HCT116 cells stably transduced with control or PIK3CA inducible shRNA were treated with PD0325901 in the presence or absence of doxycycline. 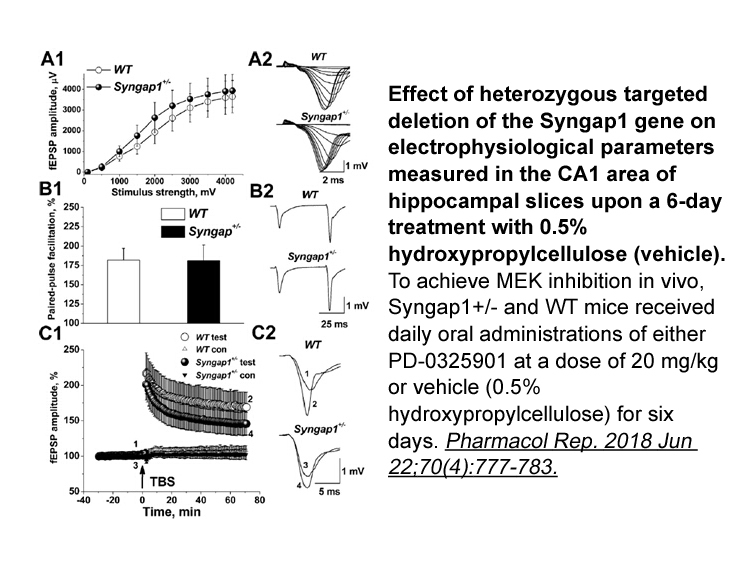 HCT116 cells grown in the presence or absence of doxycycline were treated with PD0325901 for 48 h. Cells were subsequently fixed with formaldehyde and stained with Hoechst 33342 to visualize fragmented nuclei. For each treatment condition, 1,500 cells were counted under a fluorescence microscope. Ciuffreda L, Del Bufalo D, Desideri M, et al. Growth-inhibitory and antiangiogenic activity of the MEK inhibitor PD0325901 in malignant melanoma with or without BRAF mutations. Neoplasia, 2009, 11(8): 720-W6. 1. Modulation of endochondral ossification by MEK inhibitors PD 0325901 and AZD6244 (Selumetinib). Bone. 2014 Feb;59:151-61. doi: 10.1016/j.bone.2013.11.013. Epub 2013 Nov 20. PD 0325901, a MEKi, affects chondrocyte hypertrophy, matrix resorption, fracture healing and bone architecture, where it expands the hypertrophic zone of th growth plate and reduces osteoclast surface systemically. 2. Epithelial tissue hyperplasia induced by the RAF inhibitor PF-04880594 is attenuated by a clinically well-tolerated dose of the MEK inhibitor PD-0325901. Mol Cancer Ther. 2012 Oct;11(10):2274-83. doi: 10.1158/1535-7163.MCT-11-0984. Epub 2012 Jul 2. The MEK inhibitor PD-0325901 prevented PF-04880594-induced hyperplasia and ERK hyperphosphorylation at clinically well-tolerated doses. 3. Pilot study of PD-0325901 in previously treated patients with advanced melanoma, breast cancer, and colon cancer. Cancer Chemother Pharmacol. 2011 Aug;68(2):547-52. doi: 10.1007/s00280-011-1620-1. Epub 2011 Apr 24. 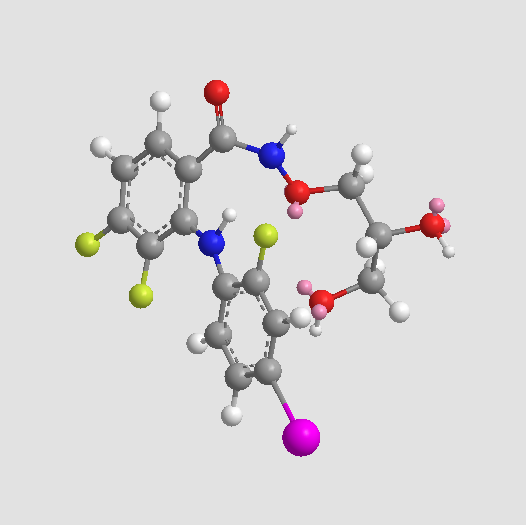 The tolerability and antitumor activity of PD-0325901 have been assessed in cancer patients. 4. MEK inhibitor PD0325901 significantly reduces the growth of papillary thyroid carcinoma cells in vitro and in vivo. Mol Cancer Ther. 2010 Jul;9(7):1968-76. doi: 10.1158/1535-7163.MCT-10-0062. Epub 2010 Jun 29. 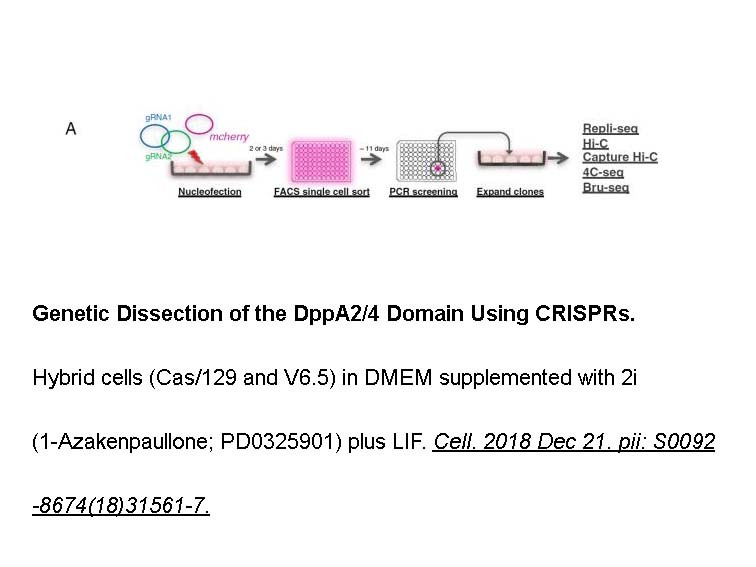 PD0325901, a MEK1/2 inhibitor, is an effective drug for the treatment of thyroid cancers with RET/PTC or BRAF mutation, where PTC cells with a BRAF mutation is more sensitive to PD0325901 than PTC cells with RET/PTC1 rearrangement. 5. 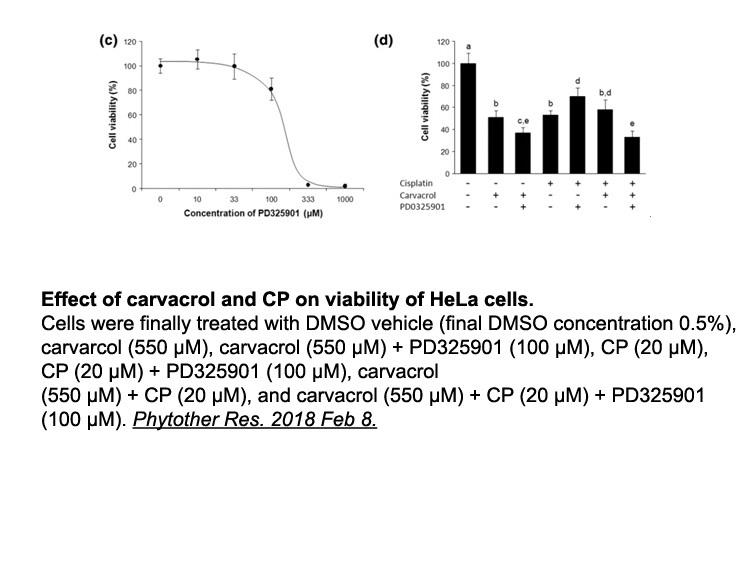 Targeting mitogen-activated protein kinase kinase with the inhibitor PD0325901 decreases hepatocellular carcinoma growth in vitro and in mouse model systems. Hepatology. 2010 Apr;51(4):1218-25. doi: 10.1002/hep.23470. 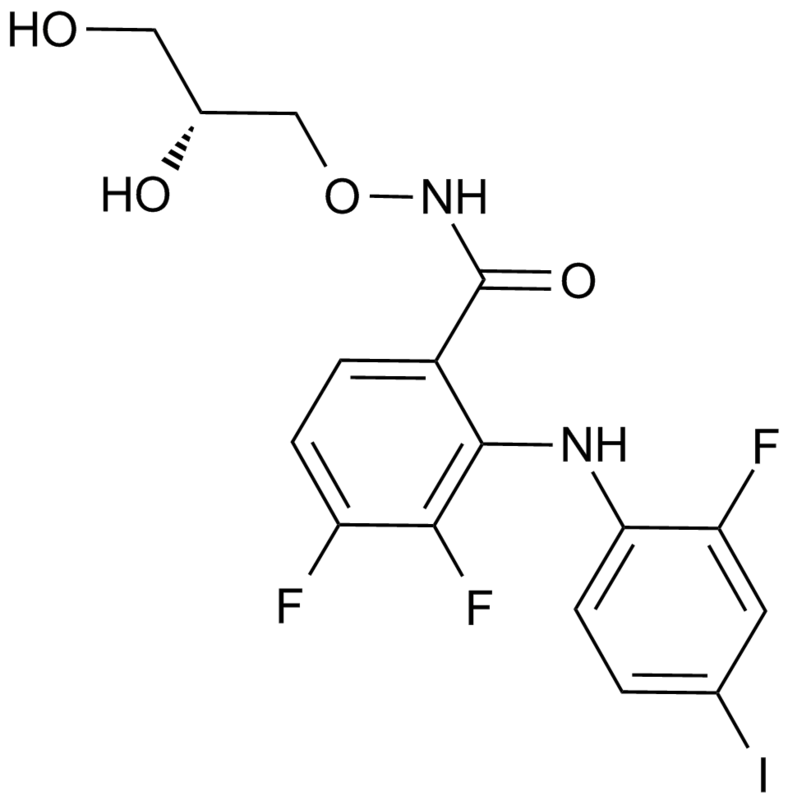 PD0325901, a MEK inhibitor with possible inhibitory effects against HCC tumorigenesis, inhibited tumor growth and MEK activity in various HCC cells and HCC mouse models.